"People, Processes and Data... Oh My..."
The symbolic yellow brick road was the proverbial safe passage for Dorothy to travel in order to reach her hopes and dreams – getting home. 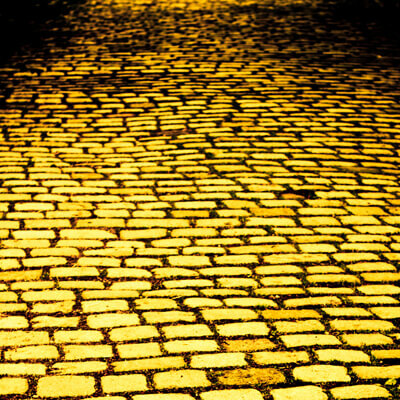 For businesses operating in the disruptive Omnichannel marketplace while also being steeped in complex IT environments, perhaps navigating the yellow brick road to their hopes is a bit more complicated. At the end of their yellow brick road is a truly agile infrastructure – powered by a single integration solution – which is best suited for responsive Omnichannel fulfilment. However, some companies have veered off of the yellow brick road into a thicket of system and integration complexity. Today’s Omnichannel customer is in pursuit of two goals – products and fast fulfilment! To quickly find and move those products to customers, companies must connect their ecommerce orders with the products residing in multiple inventory locations. To connect the orders with products sounds simple, but it’s not. Retail and CPG companies have a mixture of disparate business systems (e.g. OMS, ERP, WMS, etc.) as well as legacy and/or multiple integration middleware platforms that link the business systems together. As a result, the orders must be transported between many connected systems to reach their target – the products. On the surface, these fulfilment processes appear to be straightforward. However, just beneath the surface – off the yellow brick road – lurks the dark and often times error- prone integration middleware that connects those business systems. Here is where issues can and will arise. While there are a number of causes for theses anomalies, some percentage of them would be caused by legacy or complex middleware environments. In many cases legacy systems are filled with patches of undocumented code or layers of pre- and post-processing steps. Alternatively, different middleware systems – brought on by mergers or rouge purchases – lack certain robust functions (e.g. adapters, translation services, end-to-end visibility, etc.). As a result, orders passing through these compromised middleware environments are subject to data suspensions, delays or errors. Monitoring of all workflow sequence steps to ensure the data is processed and advanced to its next process. If there is any misstep in any of these physical integration requirements – which legacy and layers of middleware are prone to, then the order will find itself stranded on a dark highway waiting for assistance and the product will remain in inventory. More importantly, Omnichannel customers will be very dissatisfied and most likely shop elsewhere. There is a solution. SEEBURGER’s Business Integration Suite (BIS) can be the yellow brick integration road that will allow all data to easily, quickly and securely flow between all connected business systems. BIS is a single hybrid, multipurpose integration platform. It offers a broad array of proven capabilities for solving a myriad of complicated integration challenges. As a pre-integrated (e.g. B2B, EAI, API, and MFT) technology stack exclusively developed by SEEBURGER – no third party software – BIS’ modernizes and consolidates diverse legacy and middleware environments. As a result, time critical data moving from system to system can seamlessly and sequentially flow through the various physical integration layers driven and monitored by a business process engine unmatched by its speed, versatility and rich feature set. Finally, BIS provides a single tool that monitors your order and resulting physical flow of products from end-to-end. In summary, SEEBURGER can be the reliable, flexible and strong backbone to support your core business operations. It will allow you to quickly assimilate disruptive technologies such as Cloud, Mobile and Internet of Things, etc. so that your organization can adapt business strategies and processes as the digital market changes. With SEEBURGER you are prepared to win the in the Omnichannel marketplace because your people, processes and data will now work more cohesively to quickly and consistently fulfilment your customer’s Omnichannel orders. Brent Tisdale is a Vice President of OmniChannel Sales at SEEBURGER Inc, a global market leader in business integration software. 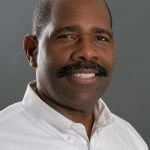 He has more than 30 years’ experience working for luminary companies like IBM and General Electric where he has streamlinedcomplex business processes for many industries including Retail, CPG and Discrete Manufacturing. He has a Six Sigma Greenbelt earned from his years with GE which he utilizes to gain a deep understanding of business process challenges and the suggested integration options. He was the Co-captain of the 1979 Holiday Bowl Champions. The first Bowl game ever won by Indiana University (Bloomington) Football team.